Formula 1 Grand Prix Monte-Carlo Monaco 2014 sunset twilight photograph, showing the late night buzz in the Port Hercule and the beautiful luxury yacht arrangement outside of the Principality of Monaco. 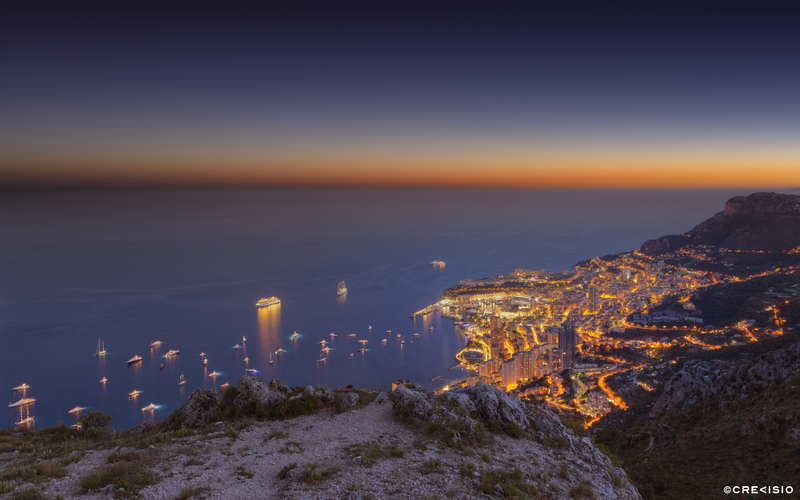 The image was shot from the Mont Gros, close to the Monaco Golf Club, near Mont Agel. This high resolution photograph has a full resolution of 56 megapixel (9,440 x 5,900 pixels, at 300 dpi).